LA TRINIDAD, Benguet – Mayor Romeo Salda assured residents of the town that the on-going hauling of garbage to the Urdaneta City sanitary landfill is temporary while the local governments is completing the extension of cell No.3 of the Alno controlled dump facility. The local chief executive revealed the hauling could possibly last for two to four months depending on how fast the completion will be of the extension of the Alno controlled dump facility, but it will not be too long a period that could result to huge expenses to be incurred on the matter. 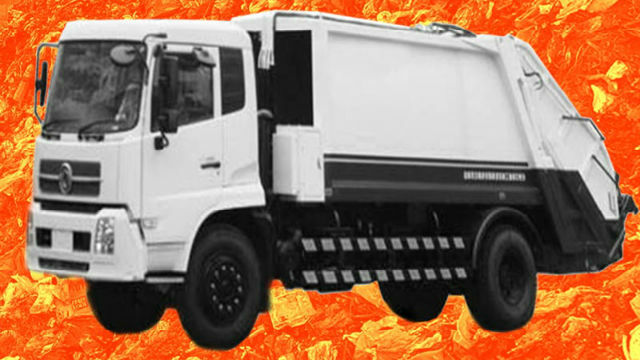 However, he explained that the local government will not be spending that much in the hauling of garbage outside the municipality because it will only be obliged to pay the prescribed tipping fee of P640 per ton since it will be the existing garbage trucks of the town that will haul out the garbage to the landfill site. “We have to resort to hauling our garbage to the Urdaneta sanitary landfill to prevent the occurrence of a serious garbage problem in our locality. We will make do with the available option of hauling while we are fast-tracking the completion of cell number three of our Alno controlled dump facility where we will dump our garbage once completed,” Mayor Salda stressed. He claimed that he tried to negotiate with the management of the Urdaneta sanitary landfill for the further reduction of the tipping fee that will be charged to the local government but his technical people were only able to settle for P640 per ton, because the volume of garbage that will be hauled out from the municipality daily is only 30 tons compared to that of Baguio City which ranges from 150 to 160 tons daily. Aside from the completion of the extension of the Alno dump area’s cell No. 3, he claimed the local government is also working on the conversion of the already full cell Nos. 1 and 2 into an eco-park that will serve as an added attraction for visitors frequenting the locality to help boost the sustained growth of the local tourism industry. Mayor Salda appealed to residents and visitors alike to strictly observe proper waste disposal to help the local government reduce the volume of waste being generated in the households and hauled out of the municipality because solid waste management is not only the obligation of the local government but also the residents who should practice the basic concept of waste management, which is segregation of waste at source. He explained that under the present set up some garbage trucks of the local government will collect the generated garbage in the town’s 16 barangays, after which it will be brought to the assigned truck that will haul out the garbage to the Urdaneta sanitary landfill. According to him, the local government has two available trucks that could accommodate some 18 tons of garbage. The hauling could be done twice a day considering the proximity of Urdaneta City to the locality. Salda underscored that under the present circumstances, hauling remains the best option available for the local government to prevent the possible occurrence of a garbage crisis in the town that could affect its reputation. He considers it a difficult decision to be made but one done to preserve and protect the name of La Trinidad while working on available options to sustain the town’s garbage disposal program.